✰ set (lower than regular !!). ✰ ▪ Gacha prices must be lower then regular, but in a good relation to your regulary prices. ✰ You should not squander your products! ✰ ▪ Mix the Gacha prices when possible, do not offer only one item in different colors as example!! 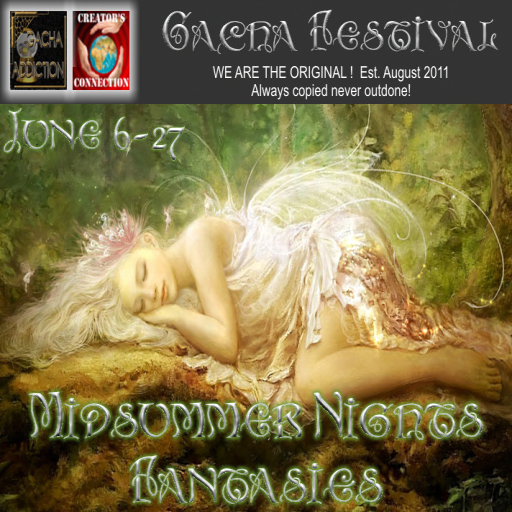 ✰ AND THERE IS A THEMED EVENT EACH MONTH! ✰ Designers with permanent status don’t have to submit a application, but they have to buy the token! ✰ Copy this part into a new notecard and rename it. ✰ Attention: Incorrect or incomplete notecards or notecards with missing token will be deleted! ✰ ▪ Press ctrl – and move the object into the safe! ✰ ▪ After you submit your application, only a a short IM is sent, when you are accepted. ✰ ▪ We have a simple and uncomplicated timeflow! ✰ added to our online postmaster systems and receive your setup info in time. 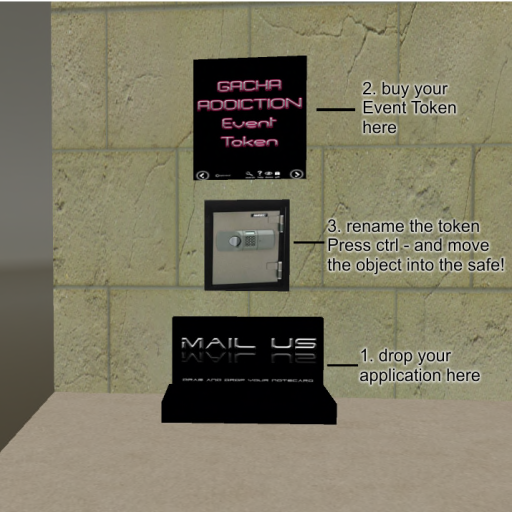 ✰ Your participation is confirmed by purchasing the event token! ✰ ▪ Minimum product add in one gacha vendor are 4 packed items!